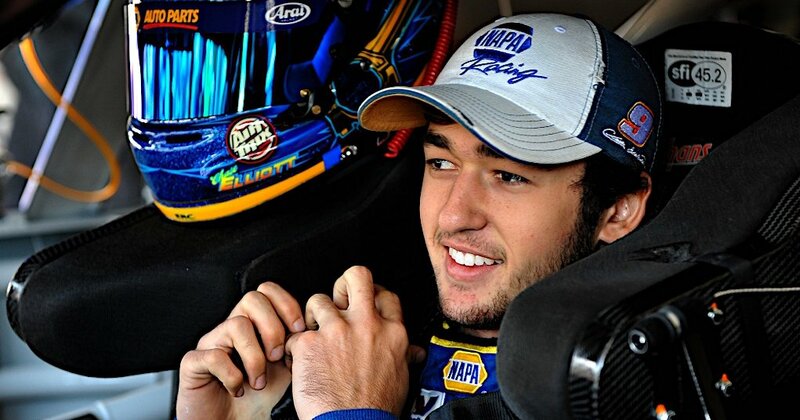 MOORESVILLE, N.C. (Oct. 28, 2014) – With three races to go, NAPA AUTO PARTS driver Chase Elliott looks to capitalize on a return to Texas Motor Speedway this Saturday afternoon. In April, the young rookie led 38 laps en route to winning his first NASCAR Nationwide Series race. At the age of 18 years, four months, and seven days, Elliott’s dazzling upsurge to victory made him the second youngest victor in Nationwide Series history. Joey Logano holds the record for his win at Kentucky Speedway in 2008 at the age of 18 years and 21 days. Elliott will enter Texas just as he left it back in April, the series points leader. He currently holds a 42-point lead on his JR Motorsports teammate, Regan Smith. Through 30 races, Elliott has raced a third of his season on 1.5-mile surfaces (10). On these tracks, Elliott has two wins (Texas and Chicagoland Speedway in July), five top-five and eight top-10 finishes. In the Sunoco Rookie of the Year standings, Elliott is still leading Ty Dillon by 50 points. Elliott is also in the running for Most Popular Driver in the Nationwide Series. Elliott will serve as the ESPN in-race-reporter for the Texas 300, which begins 3 p.m. ET on PRN/Sirius XM and 3:30 p.m. ET on ESPN. For Chase Elliott Merchandise, please visit ChaseElliott.com.